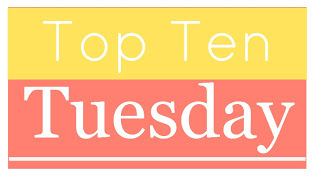 I’ve never been unable to get to ten books on Top Ten Tuesday. Until now. I guess I’m not in the middle of enough series right now, but here are five books or series that I’m eagerly awaiting the next book of. Give me series suggestions in the comments! *There is no plan that I know of for Maureen Johnson to write a sequel to Scarlett Fever. But I finished it last week and want another book in the series SO BADLY! This entry was posted in Uncategorized and tagged books, Sequels, Top Ten Tuesday by Alison Doherty. Bookmark the permalink. I wasn’t a huge fan of To All the Boys I’ve Loved Before but I think I might actually read the sequel. Maybe. But it’ll have to be checked out from the library. Not buying it. I rank books that way too. But I LOVED that book. I related to Laura Jean so hard … but I guess that’s why Baskin Robbins makes 31 flavors (as my mom would say). Ugh! That is the absolute worst! I think libraries should be mandated to carry all sequels of books they have on their shelves. It might be worth checking the library again. The books have gained a lot of popularity in the last few years. Yes! I’m excited for the next Pink book too! I’m kind of ready for the series to end, I hope Jane’s love is amazing! Shades of London is on my list to try too. Fun! I love both of those series!